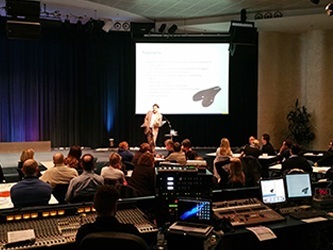 Educational Programs Sydney Foot Surgery have developed a series of educational seminars to empower Podiatry and general practitioners with knowledge and practical skills that will help in the management of their patients with foot and ankle disorders. 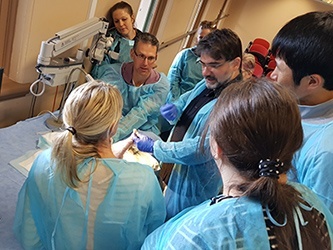 We provide education activities in both surgical and clinical settings and workshop environment. The activities focus on degenerative foot and ankle disorders and sports injuries related to the knee. Our workshops have a multidisciplinary approach and have been carefully designed to deliver practical, current education tailored specifically to the needs of podiatric and general practice. For a Calendar of Events and to register for a CPD workshop, please call Sydney Foot Surgery on 02-93628838. All health practitioners with an interest in the management of foot and ankle disorders are welcome to attend Sydney Foot Surgery education activities. Dr Haydar Ozcan is available to participate in educational seminars. Please contact Sydney Foot Surgery 02-93628838 to discuss further details. Observations: Clinicians are welcome to observe us during patient consultations, and watch surgeries in the operating room. In house expert: Dr Haydar Ozcan is also available to assess your difficult cases in your own clinical settings. Please speak to our practice manager for any of the above services or the future seminar programs.